Sterling Cleaners > Blog > Blog > Wedding Dress Preservation: What Brides Need to Know? If you’re done with the “I do” and choreographed reception dance phases of your wedding, you’re probably squarely in the unpaid bills, unwritten thank-you notes, and having a giant wedding dress that you have no idea what to do with phase. You’ve come to the right place if you’re looking for solutions to preserve the expensive wedding dress that you bought with your hard earned money. Wedding dresses are traditionally white and flaunt a bit of extra cloth compared to traditional or formal dresses. That makes them harder to care for if you’re a bride who doesn’t know the right tips or care techniques. Let us help you out by listing a few things you can do to best preserve your wedding dress if you’ve decided against re-purposing or donating it. Before making any decision about your wedding gown, educate yourself on what kind of fabric your dress or gown is made of. Different fabrics need different methods of preservation; a wedding gown cleaning service should be able to answer your concerns regarding that. This is pretty basic. You dry clean any formal dress or cocktail gown, but for a wedding dress, put a rush order on it. 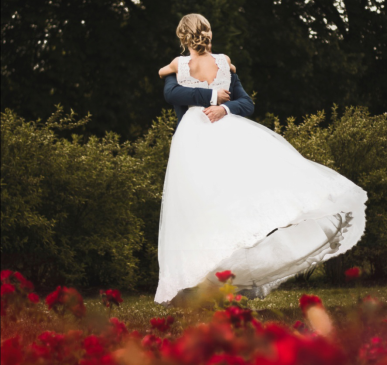 Get your dress professionally dry cleaned using a wedding gown preservation service in your area. Hundreds of different preservation kits and services are available in professional dry cleaning shops. Pick one that’s best suited to your needs and budget. You spent hundreds of dollars on your dress, so it’s only fair that you invest in its care with the same fervor. If you’ve watched enough tutorials and are armed with the right products, you can preserve your dress on a budget. Make sure that your research is right and in-depth. Read up on other bride’s experience of DIY preservation and get as many helpful tips as you can to avoid any regrets later. How and where you store your dress matters. Never leave your wedding dress loosely hanging in your daily use wardrobe collecting dust. Put some money towards buying packaging material and wrap it with quality acid free paper. If you’re getting married in the Washington area, we offer a wide range of wedding gown preservation services. If you plan on leaving for a honeymoon immediately, give us a call for free dry cleaning pickup. 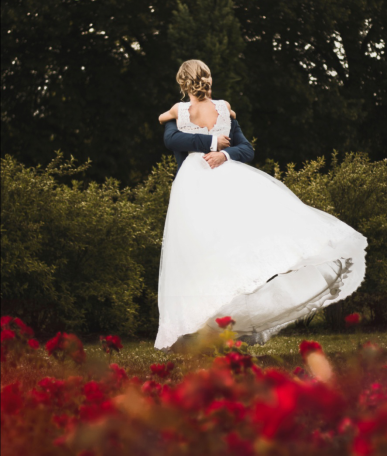 We serve Northern Virginia, Maryland, and the District of Columbia, and will deliver your dress safely back to you on any of your chosen dates so you can reminisce back on the happiest day of your life by indulging in a bit of nostalgia.